For many years, chess was a male-dominated sport. Today, a wave of powerful female players are proving that gender makes no difference on the chess board. Champions such as Susan Polgar (also known as Zsuzsa Polgár) are responsible for kicking off that wave. As the first female Grandmaster to earn the title using the same standards as male players, Women’s World Chess Champion from 1996-99, and the first female player to qualify to face off in the Men’s World Chess Championship, Polgar has done more than make waves: she’s the shattered glass ceilings that once held the women of chess back. Is a chess prodigy born, or are they raised? 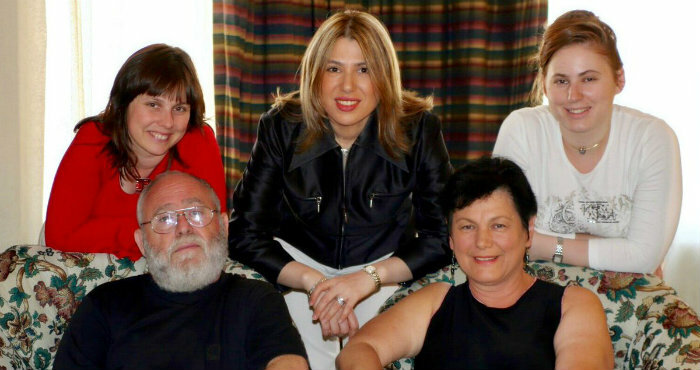 This debate has been going on for years, and Susan Polgar’s father, László Polgár, decided to settle the matter once and for all by raising his three daughters to become chess masters. Susan and her two younger sisters, Judit and Sofia, were all educated at home – with an intense focus on chess training from the very beginning. László’s theory was that “Geniuses are made, not born” and that women can play chess at the same level as men. He sought to prove this by turning his daughters into some of the best chess players the world has ever known. He succeeded. Judit went on to become a Grandmaster, while Sofia became an International Master. At the age of 15, Susan became the top-rated female chess player in the entire world. Their training was documented in a National Geographic film entitled My Brilliant Brain. Although other female players had previously been titled Grandmasters through a special FIDE judgement, in 2005, Susan became the first woman in history to earn the Grandmaster title through the same achievements required of male players – by obtaining three GM norms, as well as a rating of over 2500. After she became the top-rated female chess competitor in the world, Susan Polgar was just getting started. The following decades featured a series of wins against champions all over the world. In fact, Susan Polgar was to remain in the top three female chess players for the next 23 years. Undeterred by excuses or lack of respect from male players, Susan Polgar continued winning. She qualified for the Men’s World Championship in 1986. Susan was the first woman to ever do so and paved the way for Judit to compete against the men once her ratings had soared far higher than those of her fellow female competitors. In 1992, she won the World Blitz and Rapid Championships. She had lived in and played for Hungary for years, but in 1994, she moved to New York City when she married American computer consultant Jacob Shutzman. There, the pair wrote her biography (Queen of the Kings Game), opened a private chess club, and Polgar set her sights on the world championship. At the 1996 Women’s World Chess Championship, Polgar reigned supreme and won the title. She was to remain champion until 1999 when she lost her title to China’s Xie Jun under back-and-forth negotiations over where her title defense match would be held and when. The FIDE had originally scheduled the match in China, her competitor’s home country, in early 1999 – which was also unacceptable because Polgar was due to give birth to her son in March of that year. The FIDE declared that Polgar had forfeited her title and refused to reinstate it despite her filing a lawsuit. She has not participated in a Women’s World Championship ever since. Polgar took a break for a bit before returning to active play in 2003. That same year, she was named Grandmaster of the Year by the United States Chess Federation (USCF) – the first woman to ever receive this honor. The following year, she played with the United States women’s team at the 2004 FIDE Chess Olympiad in Spain. Polgar brought home gold for the U.S.; in her career as an Olympic chess player, she’s earned four additional gold medals, as well as four silver and one bronze. In 2004, Polgar also took part in the Battle of the Genders, facing off against Anatoly Karpov as part of the “Chess for Peace” initiative. The match ended in a 3-3 tie, as did a second match held in October 2005. Her Elo rating at that point in her career was 2577, making her the second-ranked female chess player in the world after Judit. Susan Polgar hasn’t played in a chess competition since 2006. Polgar has written a number of books – many of them with her business manager and second husband, Paul Truong. Among them are Teach Yourself Chess in 24 Hours, Chess Tactics for Champions, Breaking Through, as well as a series of Learn Chess the Right Way books. Over the years, Polgar has devoted a great deal of her time to chess education for kids. This is no surprise given that she and her sisters received such extensive chess training as children, as well as the fact that Susan has two kids of her own (Leeam and Tom Shutzman). In 1997, Polgar founded the Polgar Chess Center in Forest Hills, NY to promote chess training for children. The center closed in 2009 after she relocated to Texas Tech University in Lubbock. There, she became the head coach for the 2011 and 2012 National Championship college chess teams. 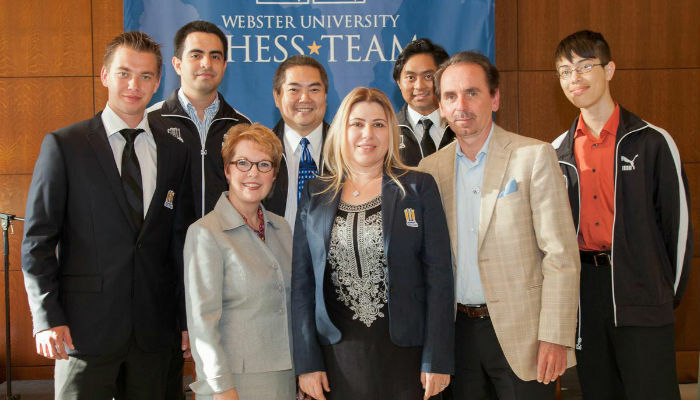 Polgar also coached chess at Webster University, heading up their National Championship teams from 2013 through 2017. 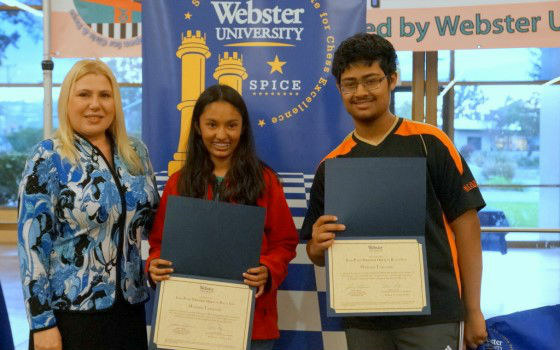 It was at Webster University that she founded the Susan Polgar Institute for Chess Excellence (SPICE) to promote chess education and women’s chess within the organization and around the world. Adding to the list of all of her other educational initiatives, the Susan Polgar Foundation (founded in 2002) has sponsored numerous chess events for children over the years, including the National Invitational for Girls, World Open Championship for boys and Girls, the All-Star Girls’ Chess Team, and many more. 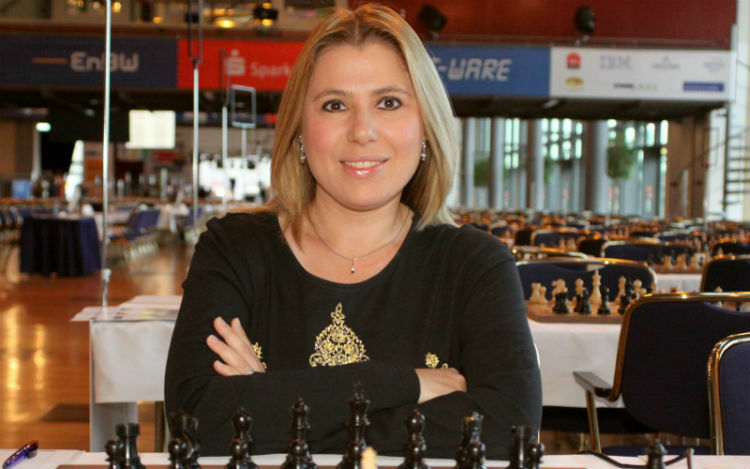 In January of 2009, Susan Polgar became Co-Chairperson of the Commission for Women’s Chess for the World Chess Federation FIDE. 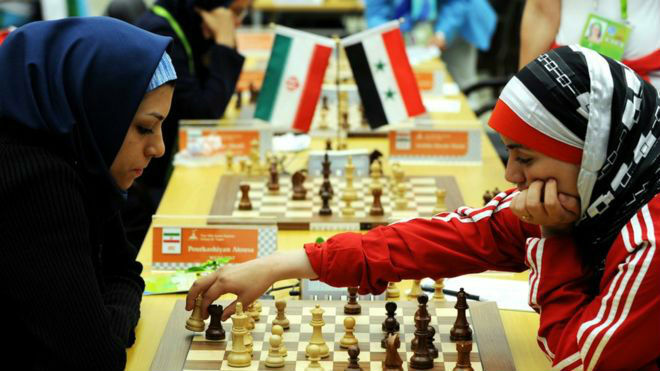 In 2017, controversy arose when the Women’s World Chess Championship was scheduled to be hosted in Iran. When it was announced that competitors would have to wear a hijab (a traditional head covering worn by many women in predominantly Islamic cultures) to participate, many Grandmasters announced that they would boycott the event rather than participate in a dress code that they felt was a blow to women’s rights. U.S. women’s chess champion Nazi Paikidze was among those who refused to participate in the event, speaking out against the dress code as well as raising concerns about the safety of travelers given the choice of location. 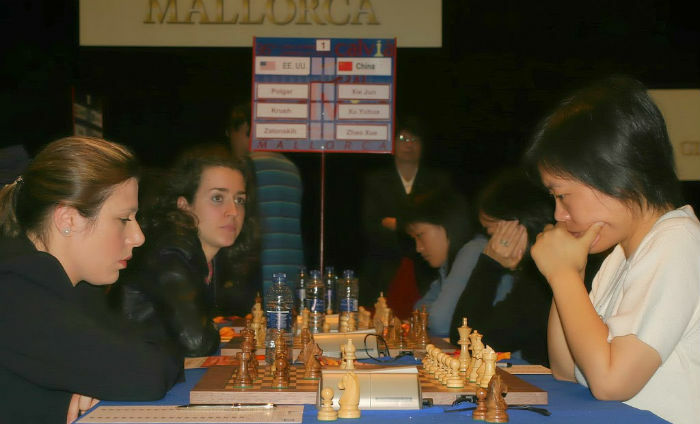 While some players still chose to boycott, the championship went on as planned, with Tan Zhongyi winning out over Anna Muzychuck for the title. Susan Polgar has truly been a trailblazer for women in chess as well as an inspiration and advocate for younger players who hope to kick off their chess careers, and it’s clear that her work isn’t through. 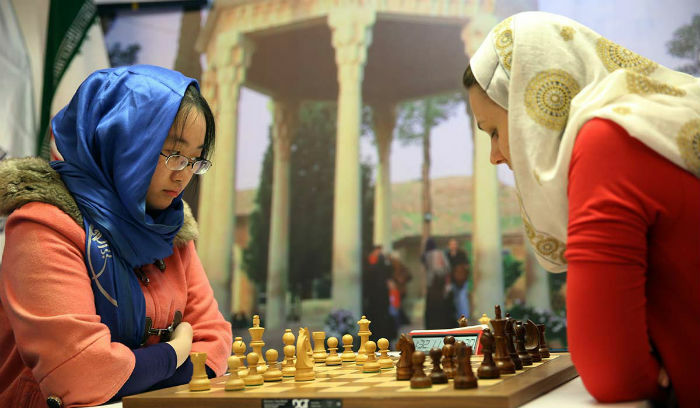 Every year, her Susan Polgar Foundation National Open draws the best and brightest young players from the West Coast, awarding them tens of thousands of dollars in scholarships. While she’s still coaching for Webster University, she’s still laser-focused on encouraging more women to play. When it comes to the number of male versus female players competing and taking part in chess clubs around the world, “There’s still a huge discrepancy,” Polgar told ESPN in 2017. That doesn’t mean she’s giving up, however.